Our professional graphic designers have the sophistication and skills you’d expect from a boutique graphic design agency. They understand printing and marketing too, which makes them highly effective and efficient at keeping your creative projects on schedule and on budget. When you use Dynamark for all of your graphic design projects, you’ll get great design that clearly communicates your message. By working with you to understand your business objectives, we can combine our design, print and marketing services into customized solutions to meet your project goals. Our professional graphic designers work with you from start to finish. 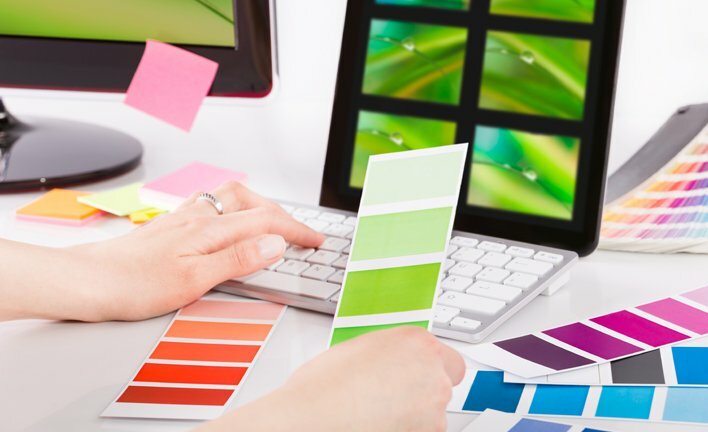 From design consultation and prepress, to color correction and print preparation, they do more than just create great looking documents. And, because they are experienced in printing, they can design for digital printing, offset printing, large-format printing and the Web.